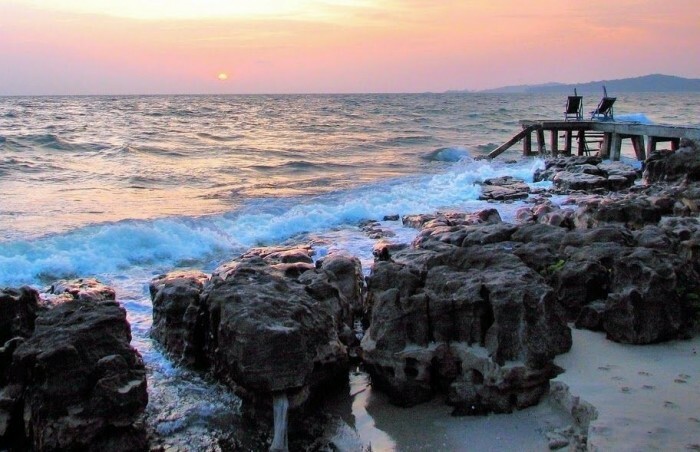 Referring to Kien Giang, people remember right away the pearl island Phu Quoc. 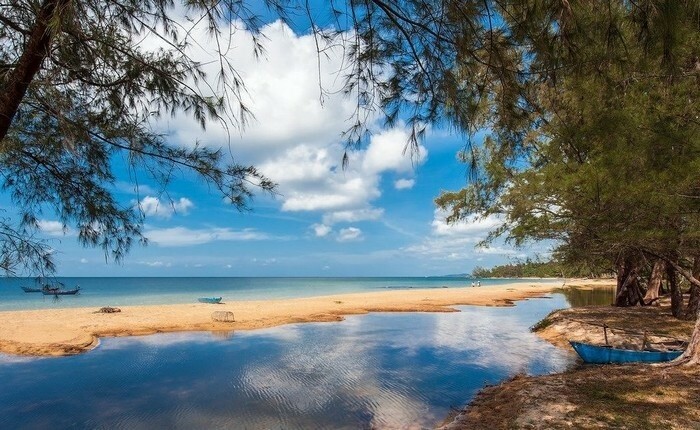 Phu Quoc tourism has an intense power of attracting with untouched beaches, the lush greenness of flourishing birches reflecting on the calm sea’s surface. 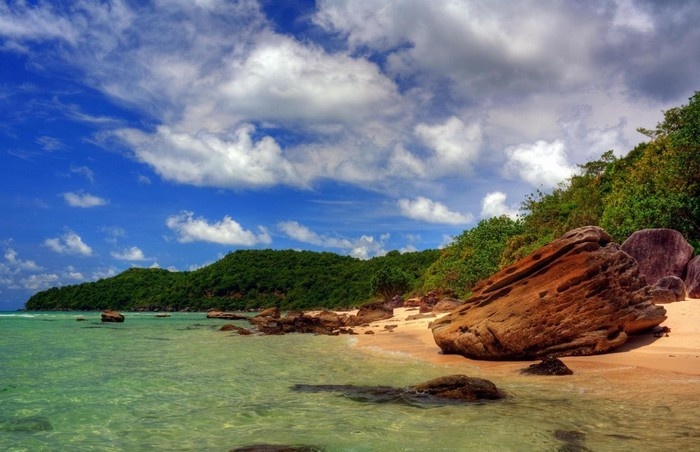 Beside the alluring beauty of Kem beach, Sao beach, Phu Quoc also makes an impression with the Ong Lang beach imprinted with a primeval mark. Ong Lang beach is situated on the path from Duong Dong town to the North island. Located close to Duong Dong town, one of the crowded place in Phu Quoc district where there V.I.P resorts, large-size restaurants, dynamic shopping malls rounding up. 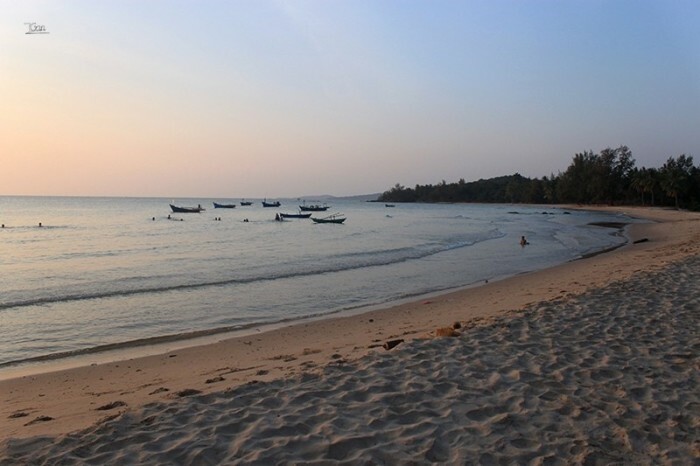 However, Ong Lang beach seems to stay outside of that pace of life. In contrast, it is pristine and extremely peaceful. This is considered to be an ideal stop during Kien Giang tour. 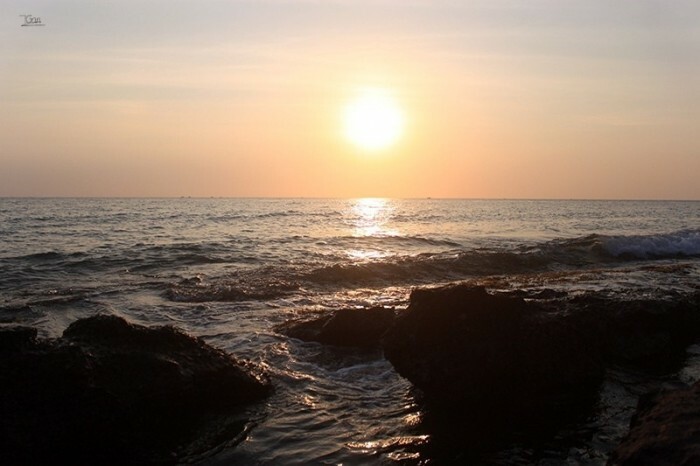 Leaving many worries and chaos of life behind, people can find the way back to Ong Lang beach, where there are turquoise sea, fine white sand and sunshine, to enjoy the cool breezes from the vast sea. Nobody knows where the name Ong Lang came from. It has been existed for ages. You can come here by moving along the winding red basaltic roads surrounding the lush green forests until you hear the gushing waves crashing onto rocks and potholes. 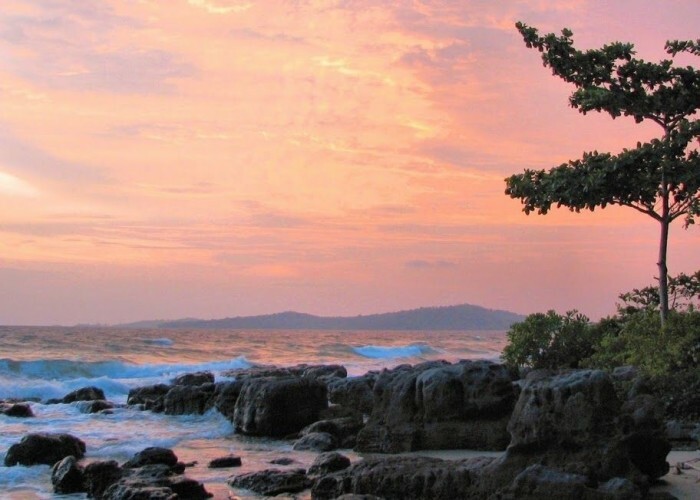 Ong Lang beach with a gentle, lyrical but also vigorous beauty then shows up. There, people seem to admire a lyrical painting, below the steep cliffs jutting out to the sea are waves roaming like playing. It is appear to have a harmony between waves and rocks. The waves play with rocks while rocks naturally receive the embrace of the sea. This is the romantic scenery that appeal to travelers during the Kien Giang journey. 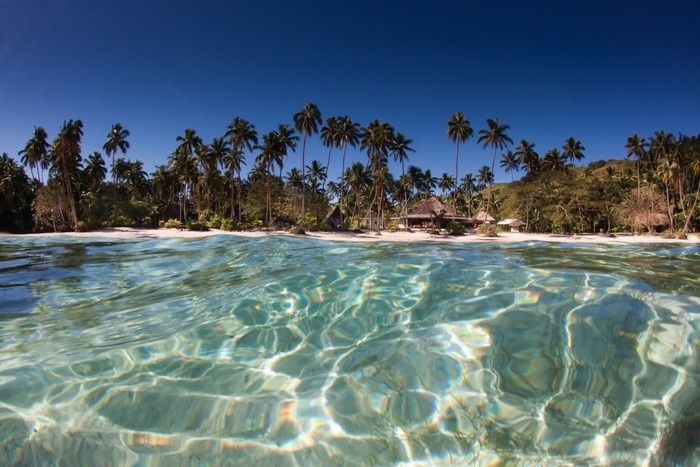 Ong Lang beach is a perfect destination for summer vacation. When the sun blazes down through all the urban roads, people can come here to revel in the fresh atmosphere, immerse in the cool seawater. The scorching air of the hot summer cannot get over those mighty mountains and that’s why it creates a different world. 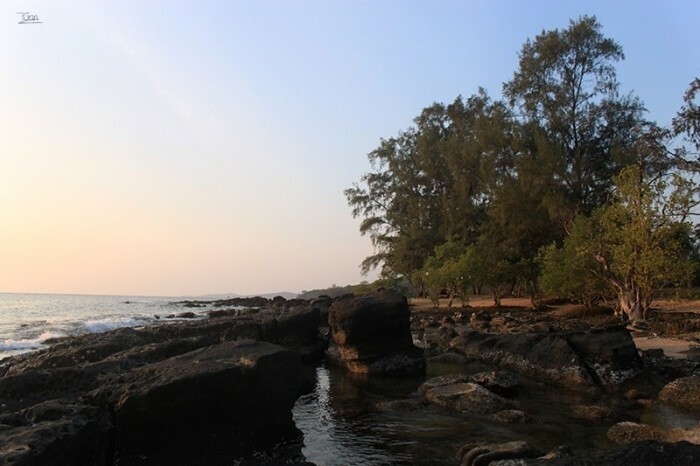 Ong Lang beach possesses a robust appearance through the time. Tourists are captivated by the exotic-shaped cliffs instead of the white fine sands. 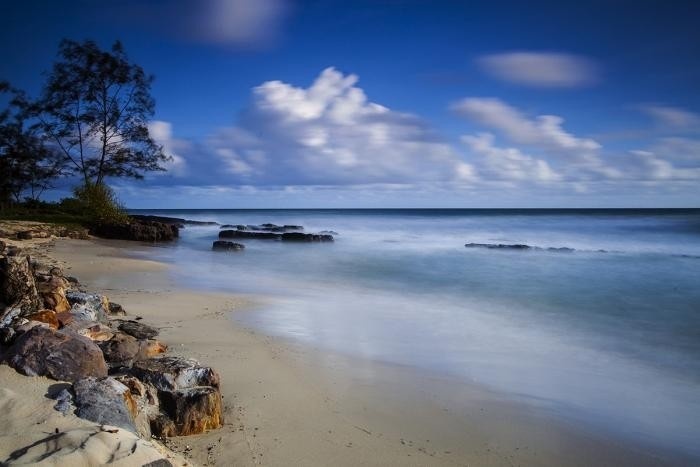 Apparently, there are only waves and rocks on this pristine beach. 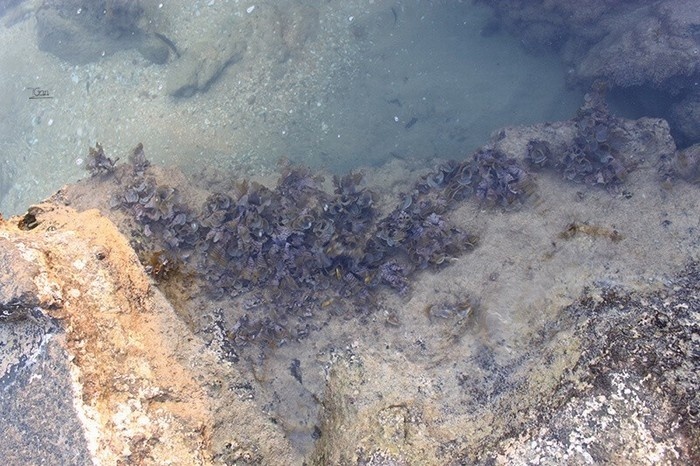 Moreover, there are also mosses in many shapes and a shoals of fish swimming. Somewhere on the beach, you can see the green birch ranges or shady coconut trees. The foliage swing cheerfully in the wind. On the clear seawater, you can even recognize of those shaded trees. Those gentle birches are likely to adorn the beauty of Ong Lang beach. That beach looks more brilliant in the light of sunset. This is also the time that tourists usually wait and try to capture every fascinating moments. The fiery sun gradually drifts towards the end of the horizon and leaves the space behind full of red arrays. Water, rocks, and birches sink into silence after the sun goes away. The whole scenery flicker and looks amazingly. In the late afternoon, the scene on Ong Lang beach becomes vibrant because the fishing boats come back in a hurry and moor on the shore. The kids play and run along the beach, young ladies enjoyably wander on their bare feet on the sand. The nature and humans seems to harmonize and create a multidimensional and colorful picture about life. Anywhere on this S-shaped country, people can easily find the lyrical sky, romantic places. There are many unexplored places and still remain their pristine, original looks but carry the wild beauty that no one cannot resist, no words can describe how glamorous they are. That beauties makes travelers who even live in really far place from there still want to discover and witness them once.